Hey, startup founders! 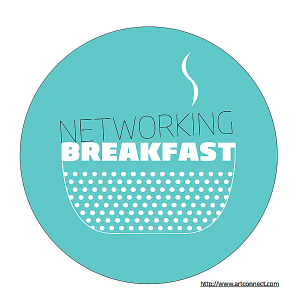 Missing out good networking opportunities? I was running late to this networking breakfast, organized by Tec Labs, where Diogo Felisberto was the guest presenting his work at Kaizen Institute. As a freelance consultant, working by myself, every opportunity to see people and to establish meaningful collaborations is chased and nurtured. Don’t get me wrong; I need a great amount of alone time to develop training programs. At the moment, I’m running a career development program for Ph.D. students and Post-docs. In addition, I’ve been preparing weekly content for this 10-week scientific writing program I am providing to a group of Scientists at Hovione. I’m currently giving them tools for paper writing. As a result, every week I’ve been putting out fires, but, as Diogo told us this morning, good management and proper establishing of KPIs are there precisely to avoid having to be out there putting out fires on a regular basis; preventing fires should be the norm. His words resonated so much with me, his talk was so important that something clicked in my mind. Kaizen, which literally means “change for the better,” is an inspiring method to improve productivity in a company. Although they used to work with large corporations only, they are now adapting their services to the problems of startups. I can’t wait to hear more from them, particularly because Diogo didn’t tell us which specific areas they will target, which kind of startups they will want to work with. Still, I got a lot of value in the hour I was listening to him. Actually, more value than if I had been studying on my own and reading FORBES papers about productivity. Oddly enough, despite the high value of this event, there was little turnout from the startups present at breakfast. This made me think. What is the problem? Why don’t other startups jump at the opportunity of a breakfast network per se? Don’t they acknowledge their peers’ value? Don’t they believe in the power of synergies? Even more so, if we add the presence of people like Diogo explaining to us how we can be more productive and sharing good tips for better management… Is aiming for fast grow and improvement a hindrance to networking with our peers? I saw peers from the startups, incubated at Tec Labs and, like me they share similar problems. Sure, time is precious. For companies starting up, every hour is important. But thinking that spending one hour networking with your peers and with a high-value guest is a waste of time is, I believe, a completely out of date prejudice. So many ideas, so few people to benefit from them: why? After breakfast, I talked a bit with Bruno – Tec Labs project coordinator about this, because I was puzzled with the low turnout. Some of our questions danced in my mind as I left the venue. Is it because this is a community of startups with scientists as founders? Is it because we are Portuguese? Is it because, in practical terms, we don’t see the value of this type of events? Not attending this kind of meetings, where peers and high-profile experts can listen to and learn from each other, is a problem because it can prevent inspiration and postpone development. I hope in 10 years we have a study that can show us whether Portuguese startups can grow faster with collaborations or not. Despite the expansion of the Portuguese startup ecosystem, the extent of growth through collaboration remains unknown. If you think collaborating and attending networking events on a regular basis is a waste of time, think again! Networking – three reasons why all entrepreneurs should care: trust, funding, and development. We can have similar targets and clients love it when companies work together to provide them with the best service or to deliver the best product. By networking, you get more trust from the customer. We can apply for funding together. Following the status quo in Academia where different labs in different countries could collaborate to access financial support, we can join our ideas and our resources to apply for funding that otherwise we would not to be eligible to apply. Collaborate, and you may actually get the funds you need. Some of the other startups could be potential clients, so we could test our message, test how we communicate, how we can pitch our service or our product in a friendly environment where the error would be a great tool for fast learning and decision making. Network and you may evolve. One of the things an incubator place as Tec Labs can give us is the feeling of being part of a community, this sense of community increases productivity, and thus it will improve the success of startups. As a consultant starting my own business from scratch, I cannot stress enough how hungry I am for this kind of events, where I can learn with my peers. One thing startups might not be aware of is the cost involved in not trying to attend networking events, not trying to be open to collaborations with their peers. As Martin Zwilling put it, effective collaboration is a necessity, not an accessory. This goes along with what many entrepreneurs are saying about the value of collaborations between startups.3,4 All things considered, the opportunity costs involved in not trying out a collaboration strategy are too high not to take them into account. It is hard because you need to be self motivated, resilient and it is isolating because you need to set up your own metrics. The only metrics you have set from the outside are: a) publishing papers and b) finishing the thesis in due time. But there are a bunch of other metrics that contribute for that, and those ones should be set by you: finishing experiments, set up collaborations, go to meetings, prepare communications, writing papers, be assertive when you need feedback, always communicate where are you at your work, make decisions, ASK FOR HELP – the majority of PhD students get intimidated by their supervisors or they think they are so afraid to ask stupid questions that they tend to avoid asking questions, and the problem gets bigger and bigger, this is so dangerous, because it gets harder and harder to overcome the obstacles. One friend of mine, an environmental engineer , once told me: “I can’t deal with research I am always feeling i don’t know enough. Can’t deal with that feeling”. A PhD is hard because you are always feeling stupid (read the importance of stupidity in scientific research: Journal of Cell Science).